Hands-only CPR can save lives: Are you ready? Imagine you witness an adult suddenly collapse, become unresponsive and stop breathing. What would you do? Do you know cardio-pulmonary resuscitation? Do you feel comfortable enough with your knowledge of CPR to take action in the event of a cardiac emergency? If this scenario is making you uncomfortable, you are not alone. In fact, a survey from the American Heart Association found that 70 percent of Americans may feel helpless in the event of a cardiac emergency. Many people are not prepared to act either because they have never learned CPR or too much time has lapsed since their training and they do not remember how to perform CPR. Don’t be afraid. Everyone can learn CPR and everyone should! You can learn the steps to hands-only CPR, the current form of bystander CPR recommended by the American Heart Association, just by reading this column. In learning (or reviewing) hands-only CPR, it is important to understand how CPR works and also to understand when and how to perform hands-only CPR. CPR, cardio-pulmonary resuscitation, is defined by the manual compression of the chest to maintain blood flow and supply oxygen to vital organs when the heart is not functioning. Essentially, CPR is mimicking the normal function of the heart. It is an important component of the emergency response for a patient who has suffered a cardiac arrest. Cardiac arrest is an electrical malfunction in the heart that disrupts the heart’s ability to pump blood to the brain and other vital organs. It is a leading cause of death, and it is more common than you think. Every year, 350,000 cardiac arrests occur outside the hospital in the U.S. Up to 80 percent of cardiac arrests occur at home. What does cardiac arrest look like? When people suffer cardiac arrest, their brains are no longer receiving oxygen and they lose consciousness. They may either be breathing abnormally or not breathing at all. If you witness an adult or teen suddenly collapse and become unresponsive, you can assume they have suffered a cardiac arrest and you should initiate hands-only CPR. Call 911 (or send someone to do this).Begin chest compressions by pushing hard and fast in the center of the chest at a rate of at least 100 compressions per minute until trained medical professionals arrive. Hands-only CPR was developed to address some of the barriers preventing bystanders from performing CPR. It simplifies the steps to make them easier to teach and remember. It has been shown to be as effective as CPR with mouth-to-mouth breathing for the first several minutes of an out-of-hospital cardiac arrest. When a person has a cardiac arrest, survival depends on immediately activating the 911 response and getting CPR from someone nearby. Are you ready to save a life? James Engeln is a medical student in his fourth year of training at the University of Colorado School of Medicine. 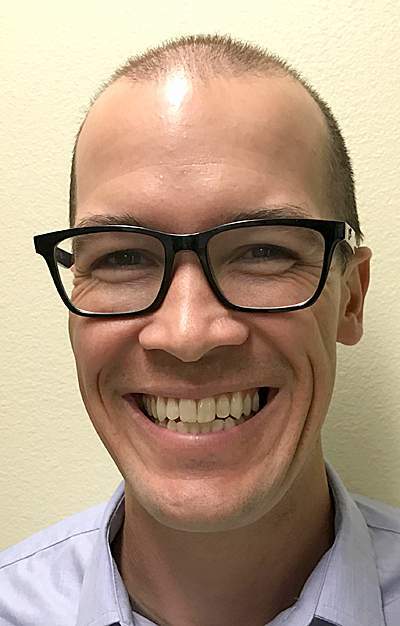 He is completing a community and rural medicine rotation with Dr. Matthew Clark, a physician in internal medicine and pediatrics practicing at the Ute Mountain Ute Health Center in Towaoc.